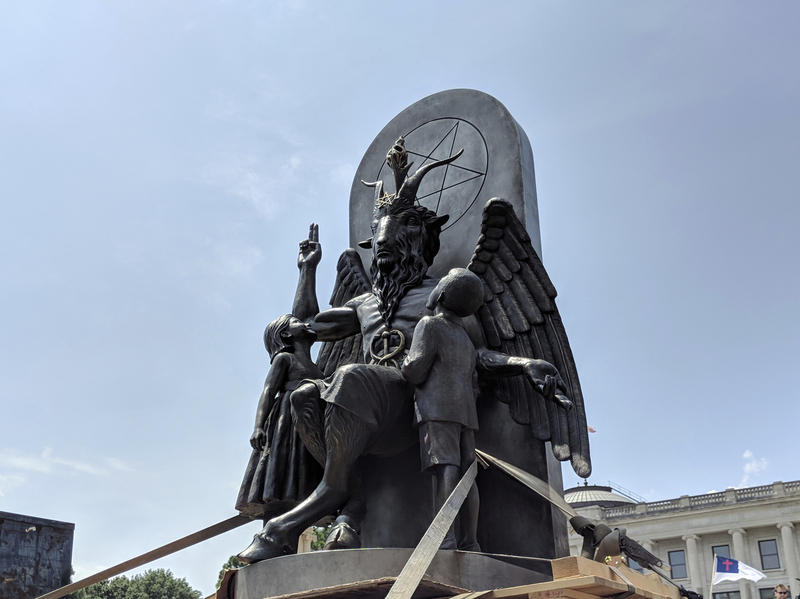 Satanists Sue Netflix, Warner Bros. For $150M, Saying 'Sabrina' Copied Their Statue The Satanic Temple has used the statue to protest for freedom of religion. Now, it says the media giants have lifted its copyrighted design for a depiction of evil in the streaming series. The Satanic Temple says a statue in Chilling Adventures of Sabrina bears too close a likeness to the temple's statue of Baphomet, shown here in Little Rock, Ark. The series, on the other hand, implies "the monument stands for evil," the complaint states. And now, the temple is demanding redress in a trial by jury.